They have six toes on each foot, an extra finger on each hand and two heads. That’s right. Two heads. Welcome to Norfolk where nothing is as queer as folk. Norfolk is an outreach where civilisation has evolved differently to the rest of us. I say the rest of us, I believe they have two heads in Tasmania too. It is said they leave one of their heads at the county border so as not to scare us when they go travelling. Likewise, when you go to Norfolk they lend you a spare head to help you blend in. Despite this cover up measure it is advisable to wear gloves with an extra finger and don’t go round in flip flops mind as they’ll soon work out you’re a stranger. Still, could be worse. They could be from the Fenlands – they look the same as Norfolk folk but have webbed feet too. I haven’t got anything against Norfolk folk, I mean, I was born in the Highlands of Scotland, grew up in Somerset and went to big school in Suffolk so ought to shut up really. Despite that I can confirm I have the right number of fingers, toes and heads though. Back to Bus Business, its June 2010 and the 2010 Road Trip is planned the bus is refurbed but we’ve yet to give her a proper road test. That’s to say we hadn’t taken her out for more than 60 miles since our trip to Devon in 2009. The thought of driving to the south of France without a proper road test was frightening. So to get us ready and prepared for frightening things we planned a trip to Norfolk. North Norfolk. My geography is pretty good but I can tell you Norfolk is further away from wherever you are than you think. It doesn’t matter if you’re travelling from Scotland, Wales, Timbuktu or even from Norfolk – it’s further than you think. A bit like Cornwall. You think you’re nearly there when you hit Somerset, but you’re still 200 miles from Penzance. I think the distance helps explain the timewarp / evolution thing too. There were 8 of us going plus four dogs. Simon, Alex & Logan, Paul, Sharon & Toast, Tony, Marliesse & Heidi and us. Although Tony forgot to book annual leave so they were a day late. Stupid Tony. He’s a Policeman – hence the stupid I guess. Here’s a thing right; Tony caught a criminal in the act once and then let him go by mistake. Silly Tony. Obviously the Police take these mishaps seriously and Tony was heavily reprimanded. His punishment was to buy the shift some donuts. So if you ever see a policeman eating donuts (like just about all the time) then you know one of their crew has done a daft thing. No wonder they all get fat. My old man’s a policeman and he’s a bit fat too. Do you know, I think I’ve stumbled on something here. Norfolk is a long long way away. 170 miles each way ! That’s a full tank of petrol each way. With a broken fuel gauge this was good practice for estimating when to fill up. The broken speedo just added to the fun. We left early on the Friday afternoon in good time to miss the traffic. The open highways gave us a chance to try out the new radio & speakers with the pod link. Hmmm. Two speakers aren’t enough to drown out the iconic drone of the V-dub. Note to self – we need more speakers. Sarah’s new seat belt was looking smart too. I was still sporting the stinky musty old one on my side. Turns out we got there in about four hours without a hitch. Not a single one. No dramas at all. To this day I am simply amazed that the bus gets us anywhere. I always give it a pat when we arrive as though that itself is a major accomplishment. After all, the engine looks its age, half the wires aren’t connected to anything and half the dashboard is malfunctioning. We pitched up in no time and cracked open the beer. Day 1 – The sea is but a short walk from the campsite and we took in a long walk that day, trekking miles along the wide wide sandy beaches. It really is a fantastic place to forget about the world, which to be honest isn’t that difficult considering Norfolk is a place forgotten by the world living as it does right on the edge of civilisation. The land that time forgot and evolution mucked about with. I’d recommend it once – but remember to factor the travel distance into your plans! It was early June 2010, the South Africa World Cup had kicked off and England were about to kick start their way to world cup glory. The campsite ran a fantastic BBQ for the match which they had projected onto the wall of the barn. The match that is – not the BBQ. A good friendly atmosphere and everyone was jumping when whatshisname stuck the ball in the onion bag after just four minutes. Oh how that changed when thesillyfelleringoal let a shot in that either of my grandmothers could have saved if they were playing. Not that they could be selected for England – both being Scottish and all that. Oh how we laughed at the despairing dive of the goalie – well some of us did. What else could you do. Talk about a damp squid of a match. Damp squid – that would have been nice on the old barby. Day 2 – a day trip to the nearest town where we had a decent pub lunch after yet more walking. The evening we’d planned a BBQ and boy did it rain. We were OK – we joined up our awnings and gazebos to create a mini indoor world so we stayed nearly dry. Our chef for the evening, Simon, well – he got soaked for the cause. It didn’t stop the merriment. Boy did it rain. If only our awning joined to the bus properly then we wouldn’t get wet getting in and out of the bus. We’d stay dry. If only the awning joined up properly. If only. The rain didn’t stop all the activity in the campsite. Oh no. A few pitches along a couple were packing up, in silence, and without much care, in the pouring rain. We observed from a distance. He had tissue sticking out of his nose tainted in what looked like blood. She didn’t. His acoustic guitar was laid out on the grass getting wet. Really wet. You could say it was more aquatic than acoustic to be honest. As they drove away they stopped at the bin area and dumped the tent and other camping kit before droving off in silence, for they had a silent car. Within seconds the vultures descended on the leftovers. The windbreak came in handy I can tell you. Well the rain let up eventually and we stupered ourselves into the night and went for a pint up the road. Day 3 – can’t remember now. I think we packed up and went home. Without a hitch. Unbelievable. Norfolk – The land that brought us Sale of the Century, Blockbusters, Delia Smith and mustard. Hey. hang on a minute. Mustard? But mustard is cool I hear you say. Cool as custard. I guess they must be all right folk really and they are pretty good at their 12x table. And as they say, two heads are better than one. 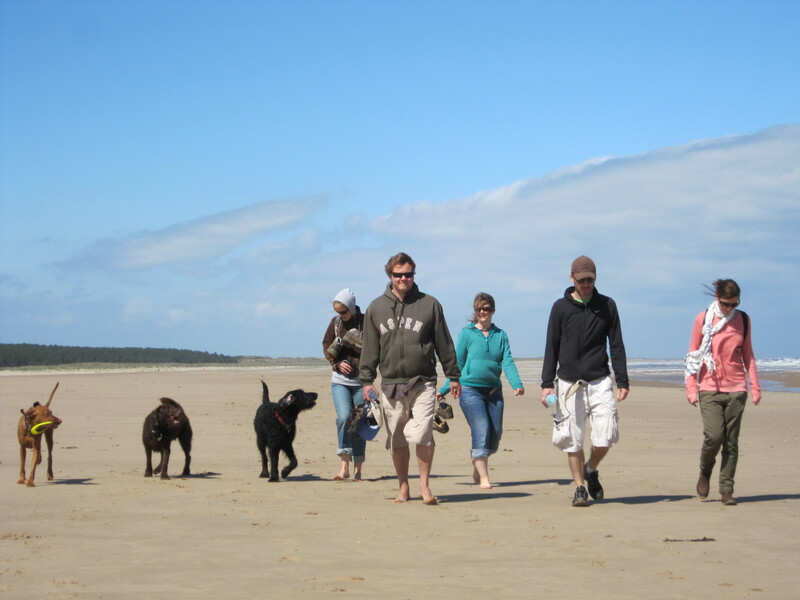 This entry was posted in The SapaBus Blog and tagged Camping, Norfolk, VW Bay, VW Campervan. Damp squid? Really? Squid? Are you sure? Not squib then?! are you saying that squids don’t get damp?